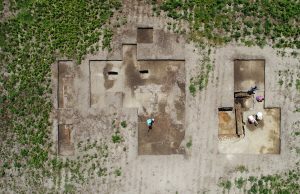 Drone photo of mansion house at end of 2017 field school. 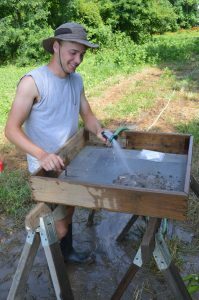 The 2018 summer field school in historical archaeology will be held at 44NB11 (known as Coan Hall) near Heathsville in Northumberland County, Virginia. The site is located on a tributary to the Potomac River on Virginia’s Northern Neck. 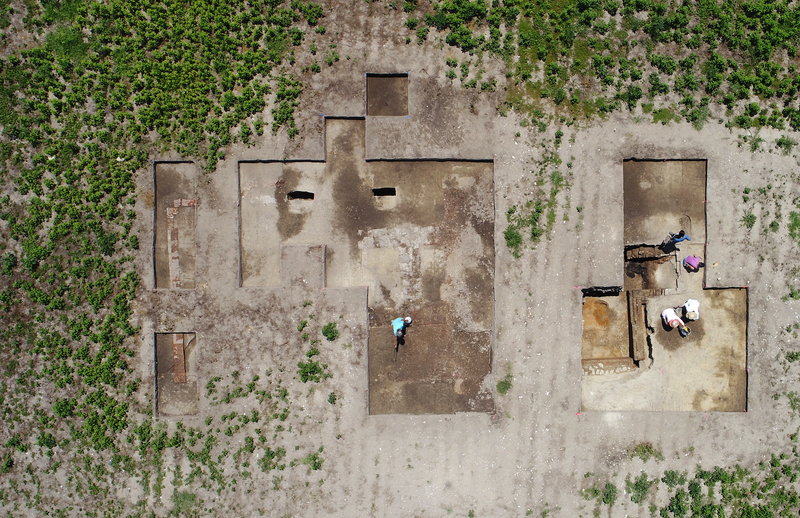 The project explores the landscape of an early British colonial plantation through documenting and interpreting cultural and environmental changes, and studying them in the context of broader changes in the region and the wider Atlantic world. 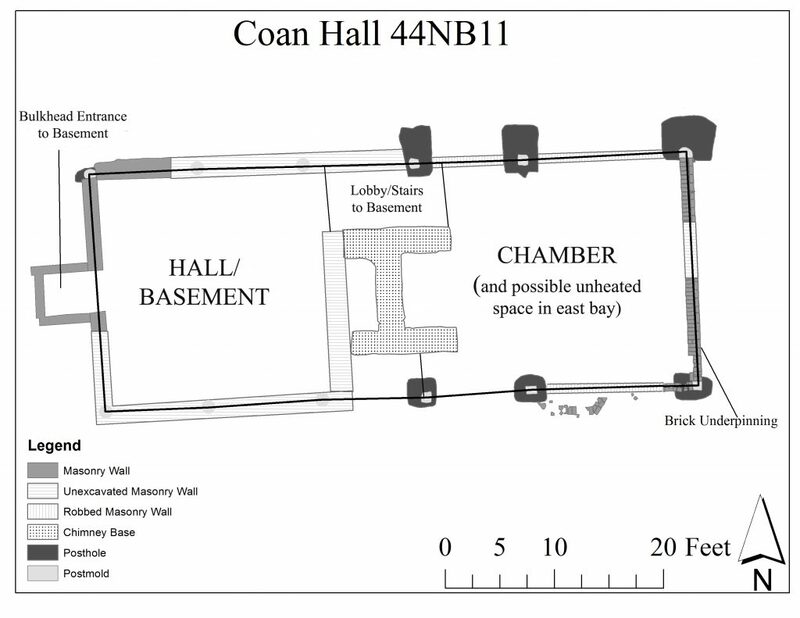 Plan of manor house at Coan Hall based on excavations. North Devon gravel-tempered milk pan fragment near the manor house. John Mottrom, one of the earliest English settlers of the Potomac’s south bank, established a household at Coan Hall sometime before 1644. The property quickly became the center of the Chicacoan community who took their name from the principal village of an important Indian chiefdom. Some of the English Chicacoans participated in the uprising known as Ingle’s Rebellion, which resulted in the overthrow of Cecil Calvert’s Maryland government in the mid-1640s. Mottrom helped arm the rebel faction. He was elected to the House of Burgesses, and his property became the legislative seat for Northumberland County, the first English county on the Northern Neck. Ground penetrating radar over house basement. Basement floor, looking west, 2017. 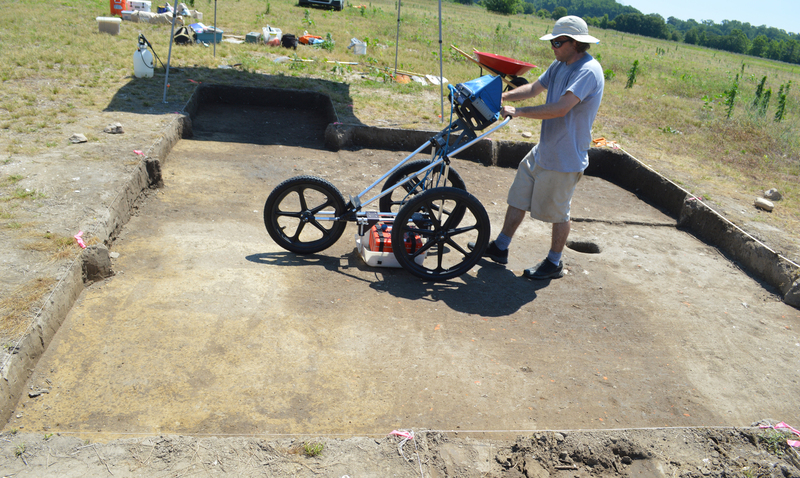 Excavations from 2011 to 2017 exposed portions of the 21.5 ft. x 54 ft. manor house. The house consists of a minimum of two rooms on either side of a masonry H-shaped chimney. The house was earthfast (built with posts set directly into the ground), repaired with new posts, and later underpinned with brick. A large brick-and-stone-lined basement extends beneath the western room, and was accessed via a bulkhead entrance on the building’s west gable end. Waterscreening to collect environmental samples. The archaeological and geophysical results hint at a complex landscape that developed across the six acres that surround the house. 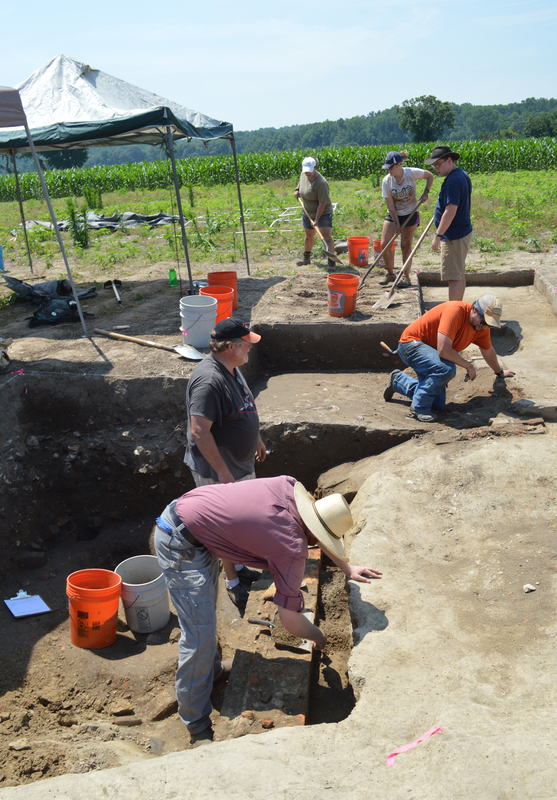 The remains of at least three outbuildings have been located north of the house. Evidence of fence lines or palisades and additional as-yet-unidentified anomalies were found during excavations and via the 2015-2017 geophysical survey of the site. 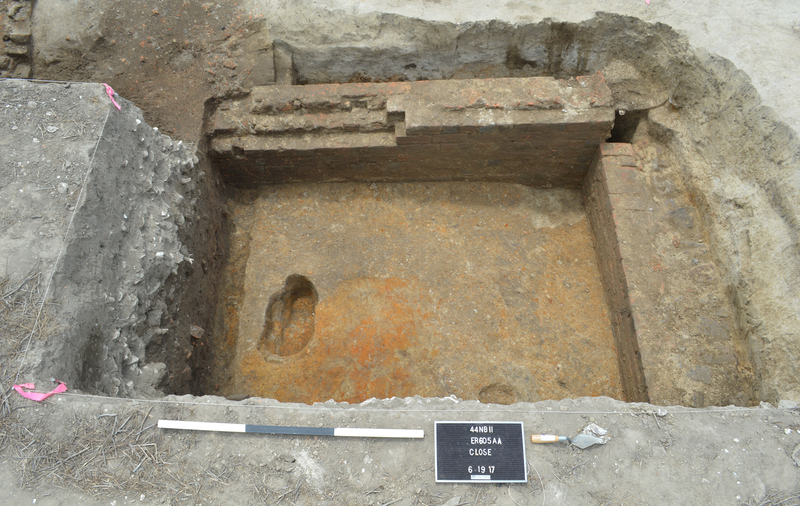 In 2018, excavations will focus on establishing the chronology and use of outbuildings within the manor’s curtilage, on tracing evidence of an early fence line that may predate the manor house, and if time permits, on exploring additional features associated with the manor. Students can elect to earn 1 to 6 credits. Participants can register for 3 to 6 hours credit for Anth 430 or receive research-intensive credit by enrolling in 430R. 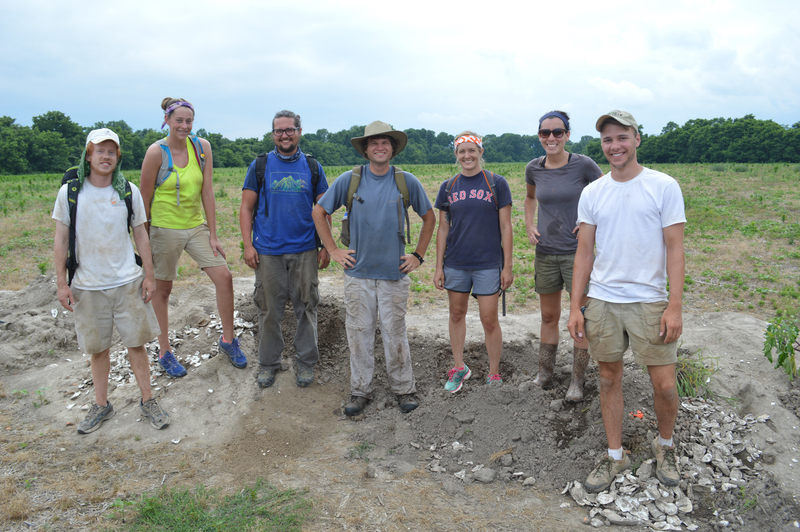 Graduate students should register for Anth 530. Students interested in taking 1 to 2 credits should enroll in Anth 492, Off Campus Study. Participants must be enrolled as UT students to take this course. Prospective students who are not currently enrolled at UT can participate by following the instructions under “Other Applicants” at https://admissions.utk.edu/other/. *based on current posted fees by admission year. Consult onestop.utk.edu for 2018 summer fees. To estimate total costs, multiply cost per credit hours by number of credits desired. Housing is provided for participants at Coan Wharf, a few miles from the archaeological site. 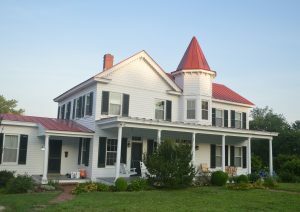 Students and staff share a renovated farmhouse with modern facilities and access to the Coan River for swimming and boating. Students should budget for travel to and from Heathsville, food, and incidental expenses during the summer session. Please contact Dr. Barbara Heath (974-1098; bheath2@utk.edu) and provide the following information. Personal information: full name, home address, phone number and email address. 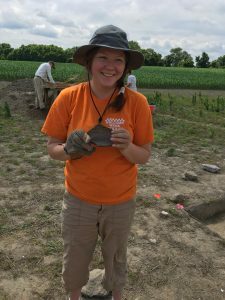 One page letter stating your reasons for participating in this class and reviewing any prior archaeological experience (although prior experience is not necessary to participate).